S2Trade Review | All Info About Account Types, Spreads and More! 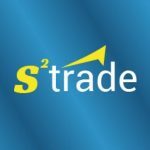 S2Trade is one of the new forex brokers that founded in 2017. Their headquarters is in Estonia, according to S2Trade’s website and they don’t have any offices anywhere in the world. They are unregulated and unlicensed as far as I can see and I think this is the biggest question mark for me about S2Trade. They are owned by Estonian company named GoldTech Media Services OÜ. There are not many comments or reviews about S2Trade on internet. So, is S2Trade reliable broker or a scam one? What are their advantages and disadvantages? You will find S2Trade’s account types, spreads, and After getting too many review requests, I did my research as always and my S2Trade review is finally here. Like I said, S2Trade is not regulated by any watchdogs. Even UK financial regulator FCA (Financial Conduct Authority) warned investors about them in 2018. That’s why I can’t say that S2Trade is the suitable broker for investors who think regulators are important. So, when I compare them with other brokers, this is the S2Trade’s weakest side. Brokers that I reviewed before have at least one or two regulators. S2Trade’s minimum deposit amount is $500 and they offer 3 different account types to their investors: Standart account, Premium account, and VIP account. They don’t offer Islamic account. They also offer 1 on 1 trading and trading signals service for premium and VIP account types. You can choose a commission account or no-commission account options for each three account type. Their leverage ratio is 1:200 for all account types and minimum lot size is 0.10. That means you can’t use micro and nano lots. This is important disadvantage. For standart account min. deposit limit is $500 and minimum spread is 2.5 if you choose no-commission account. On commission account, spreads will be minimum 0.2 and you must pay $8 commision for per lot. You can check spreads and minimum deposit limit requirements for other account types below. I can say S2Trade’s leverage ratio seems low when compared with other brokers and also I think spreads are little high. However, spreads on VIP account type is not bad. S2Trade offers several payment options like Credit/Debit Card, bank wire transfer, Skill, Neteller and WebMoney. You can deposit your money instanly except wire transfer (1-48 hours) and all withdrawal requests will be processed in 3 to 5 business days. They are offering many instruments for trading like currencies, CFD’s, commodities, indices, stocks and cryptocurrencies. But the most important problem is that they are not regulated and testimonials on their website don’t look real. Also, spreads are high and they don’t look like a reliable forex broker to me. S2Trade is a scam. Tested and verified for that as well. Run away from them as much as you are able too.